The turmoil in the Central Bureau of Investigation (CBI) shows no signs of abating, as both the agency's Special Director Rakesh Asthana and former chief Alok Verma remained under a cloud of controversy on Friday. Verma submitted his resignation a day after he was removed from his post by a high-powered committee, while the Delhi High Court refused to quash the FIR against Asthana on bribery charges. Verma asked the government to treat him "deemed superannuated" with immediate effect. Refusing to take on his new assignment as director general, Fire Services, Civil Defence and Home Guards, Verma wrote to the secretary, Department of Personnel and Training, stating the Selection Committee has not provided him an opportunity to explain the details as recorded by the CVC before arriving at the decision of transferring him. Meanwhile, interim CBI director M Nageshwar Rao on Friday reverted all transfer decisions taken by Verma, restoring the position of officials as on 8 January, officials said. Verma, in his resignation letter, wrote: "Natural justice was scuttled and the entire process was turned upside down in ensuring that the undersigned is removed from the post of Director, CBI. 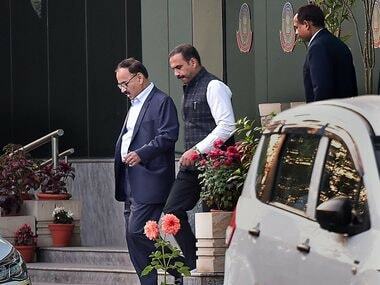 The Selection Committee did not consider the fact that the entire CVC report is premised on charges alluded by a complainant who is presently under investigation by the CBI." This was a reference to Asthana, who had alleged misconduct by Verma in August 2018. 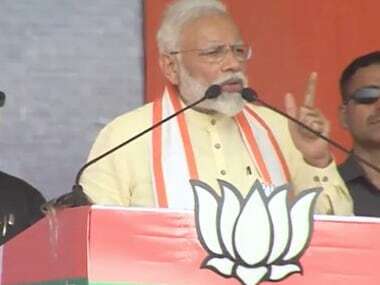 Verma's allusion to "natural justice" being scuttled was on similar lines as the dissenting opinion of Congress leader Mallikarjun Kharge, who was part of the Selection Committee along with Prime Minister Narendra Modi and Justice AK Sikri. Kharge had written that Verma should "be allowed to explain himself before this Committee, along with the charges made against him, prior to any decision being taken." "The decisions made yesterday (on Thursday) will not just be a reflection on my functioning but will become a testimony on how the CBI as an institution will be treated by any government through the CVC, who is appointed by majority members of the ruling government. This is a moment for collective introspection to state the least," he also said. Asthana had filed a complaint against Verma, accusing him of interfering in the Indian Railway Catering and Tourism Corporation corruption case involving family members of Rashtriya Janata Dal (RJD) leader Lalu Prasad. Even as Verma submitted his resignation, there was no relief in store for Asthana either. The Delhi High Court refused to quash the FIR lodged against him on bribery allegations and vacated its interim order granting him protection against criminal proceedings. The high court directed the CBI to complete the investigation in the case against Asthana and others within 10 weeks. It further said that the allegation of "mala fide" raised against then CBI director Alok Verma has not been made out. The high court dismissed the petitions filed by Asthana, CBI deputy superintendent Devender Kumar and alleged middleman Manoj Prasad, challenging the FIR lodged against them. Asthana was booked on charges of criminal conspiracy, corruption and criminal misconduct under sections of Prevention of Corruption Act. Hyderabad-based businessman Sathish Babu Sana, on whose complaint the FIR was lodged, had alleged having paid bribe to get relief in a case. Sana had also made allegations of corruption, extortion, high-handedness and serious malpractice against Asthana. The Congress minced no words in its reaction to the high court verdict, terming Asthana "Modiji's blue-eyed boy." We welcome the Delhi High Court's decision to continue investigating bribery charges against Rakesh Asthana. We can only imagine the skeletons that will be revealed after an independent investigation by the CBI on Modiji's blue-eyed boy! Earlier in the day, party leader Kapil Sibal had reacted to Verma's removal from his post, saying, "The committee ensured the caged parrot did not fly away, fearing the parrot might spill the beans by parroting the goings on in the corridors of power. The caged parrot will remain caged." Ironically, the "caged parrot" reference to the CBI was made by a Supreme Court judge during the UPA government's tenure, when the court was hearing a case on alleged irregularities in the allocation of coal blocks. It is a further irony that the Congress, which is now batting for Verma, had actually opposed his appointment to the post of CBI director in the first place. 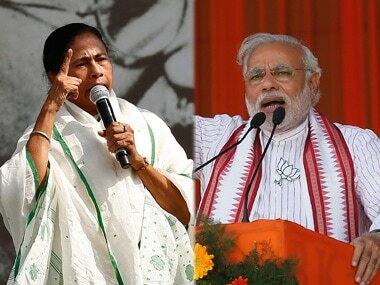 Meanwhile, TMC supremo and West Bengal chief minister Mamata Banerjee joined the Congress in taking aim at the Centre over the imbroglio at the CBI. On Friday, she remarked, "The CBI has been repeatedly misused by the BJP, which is trying to use the probe agency for political gains and turn it into 'His Master's Voice'... The BJP is destroying institutions like the CBI and the RBI." 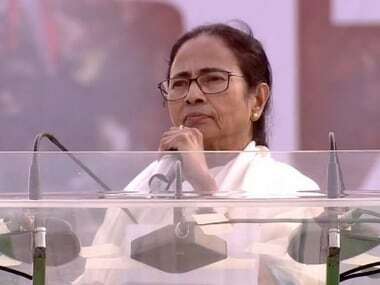 Notably, West Bengal is one of the state governments which has withdrawn general consent to the CBI to investigate cases, the other two being Andhra Pradesh and Chhattisgarh. 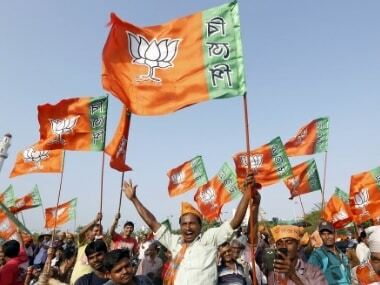 All three states have non-BJP governments in place. The Union government on Thursday evening gave the charge of the agency to Additional Director Nageshwar Rao, who was also in charge for 77 days when Verma and his deputy Asthana were on forced leave. The Supreme Court had stopped Rao from taking any major policy decisions. However, no such condition applies on his present tenure. Rao has now reverted all the transfer decisions taken on 8 January.